Here comes the promised step-by-step tutorial for how to make a window seat style cushion for the top of IKEA's trofast storage! 6. 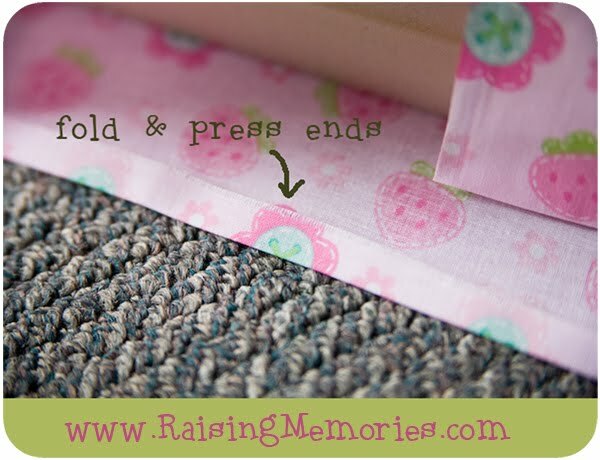 Fold the ends (as shown above) and press. When I did mine, I worked it out so that the part that goes lengthwise across the cushion is the selvage, so it didn't need to be folded & pressed to finish it. 8C. 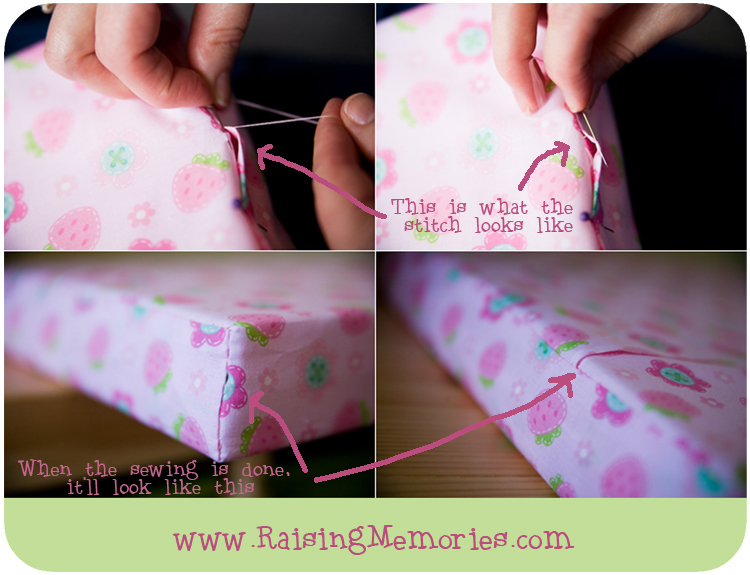 Bring the fabric up as shown, so that you have a straight line across the top edge & side edge. 8D. Pin into place & repeat for the other corners. Okay, now you're done pinning- yay! 2. 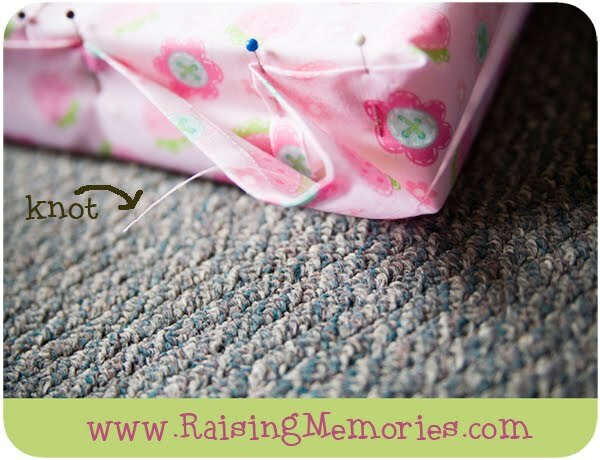 Do a blind stitch (as shown below) to close up the side and top edges of the ends of the cushion. 3. Now you're done sewing! And here's the finished project! I hope this tutorial was easy to follow- let me know if I need to clarify anything! Oh that's such an adorable window seat! I love it! This is really great and so timely for me! I have a friend making a window seat for my daughter and I was just starting to think about how I was going to make the seat top. Thanks! Perfect tutorial! 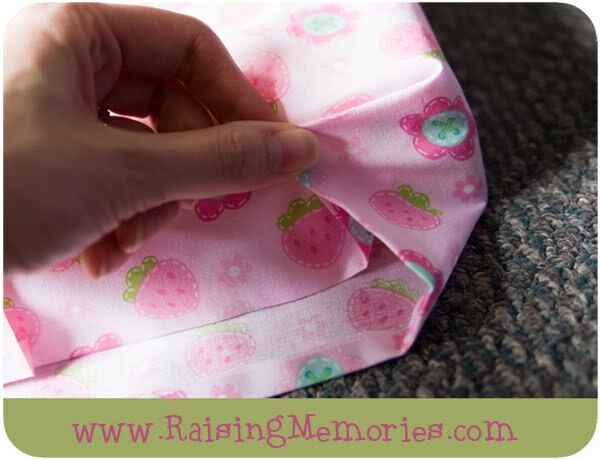 My sewing machine is on the fritz and I needed a step - by - step with hand sewing. I'm going for my fabric and foam today! Thanks so much for posting. I love window seats! You did a great job! Thanks for linking up! 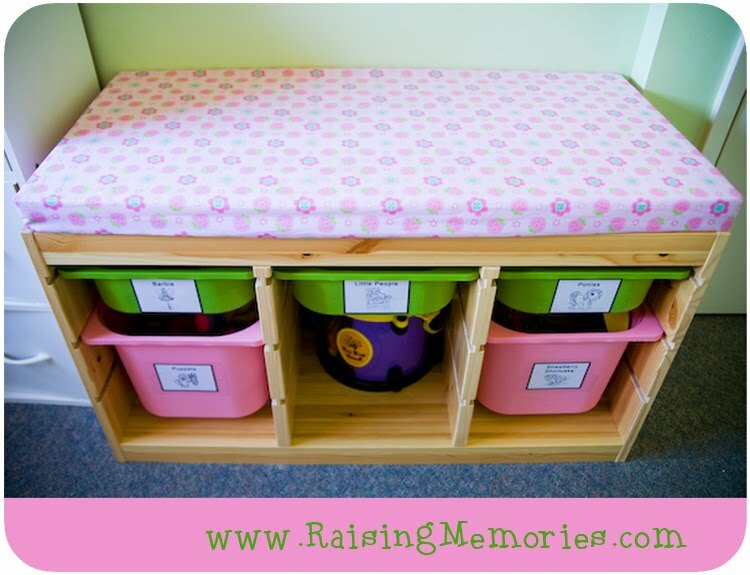 I've been scouring websites trying to find ideas with Ikea products on how to make a window seat for my daughter and this is perfect! Do you know what the weight limit would be? Thanks so much for sharing! Sorry Kym, I'm not sure about a weight limit. I'm glad you found the tutorial helpful! Kym, we have one of these Ikea benches, and my 200+ lb husband sits on it. We have the wood version (pine). They also have a white particleboard version that isn't nearly as sturdy. Great tutorial! Found you via sugar and dots, hope you have a lovely day! Awesome! 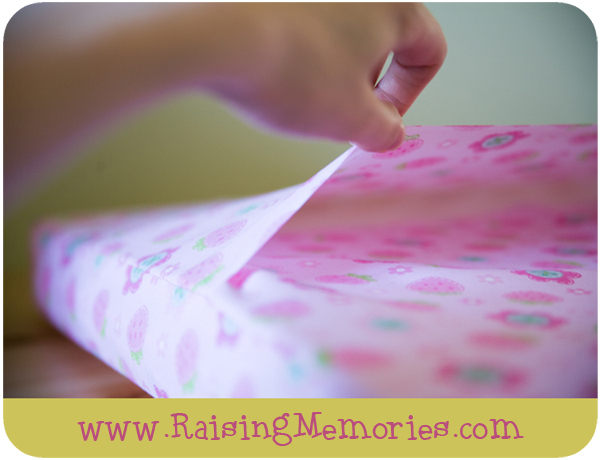 I can't wait to make one for the play room! Where did you find the foam that you used ? i dont understand how its a slip on cover when its sewn into the actual foam? if you wanted to wash it you would have to undo everything ? The case opens like a pillow sham opens (you can see a photo of it at the bottom of the tutorial- the second to last photo in the post). 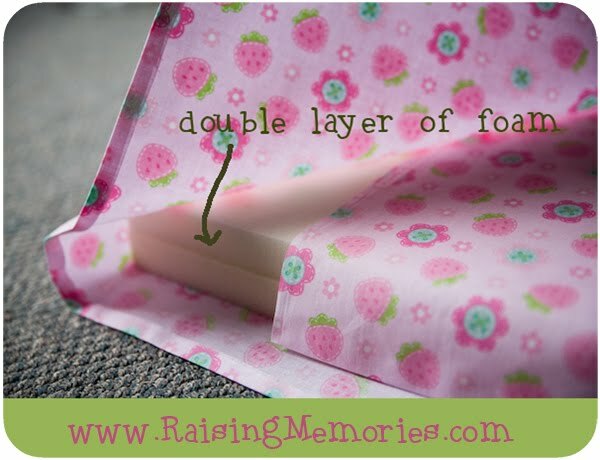 No un-sewing required :) The foam is flexible enough that you can get it out through that opening and get it back in again after washing. What a cute little seat!! 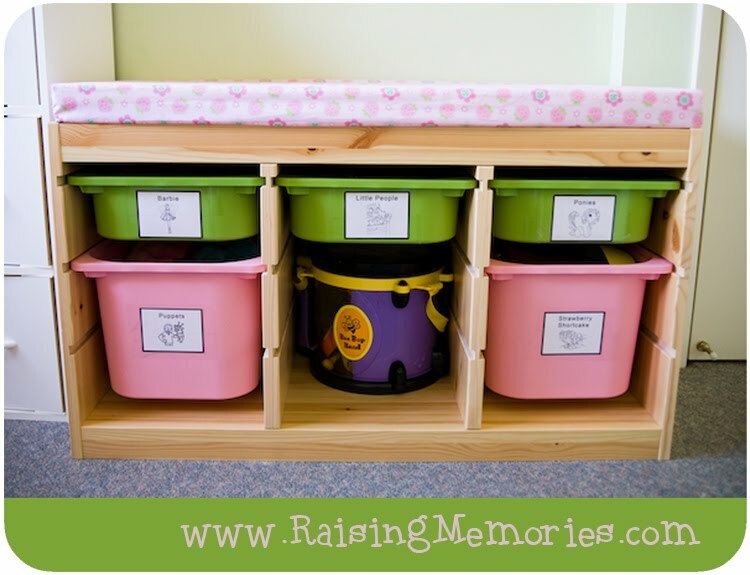 Love the extra storage!! We so need one of these in our girls room. Thanks Cheryl :) We have really loved it! Hey this is great! I've been hanging on to some couch cushions to repurpose! I didn't have it in me to toss them when the rest of the couch went (it was in rough shape, but not the cushions) and I also have a great window that would be the perfect spot for a cushioned seat for reading with my girl! Just need some nice fabric to use and I'm set! You're very welcome! :) I'm glad you can use it! This is so pretty! I noticed you didn't use a board under the foam and I was wondering if that was necessary at all but now I see you don't need it. Thanks, Im always looking for ways to cut corners and time lol. I'm master craft cheater! Just curious if you sew the foam to the fabric doesn't it rip out the stitches when you try to take the fabric off? Good question! 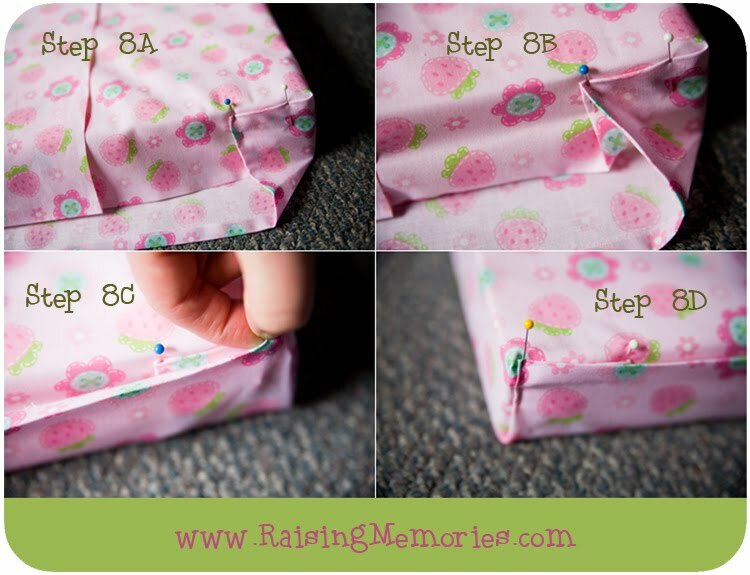 :) You don't actually sew through the cushion. You just put your needle through the fabric (between the fabric & the foam), and then back through the fabric (and so on). So, no, it doesn't rip any stitches or ruin anything when you remove the foam for washing. :) The only reason you sew it while it's around the cushion is so that you can get it the right size (it's not actually attached to the foam). I am just curious about something. 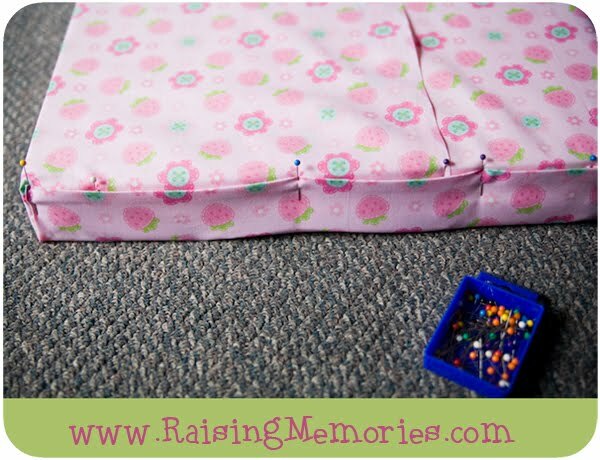 If you sew the fabric to the cushion doesn't it rip out the stitches when you try to remove the cushion? You don't actually sew through the cushion. You just put your needle through the fabric (between the fabric & the foam), and then back through the fabric (and so on). 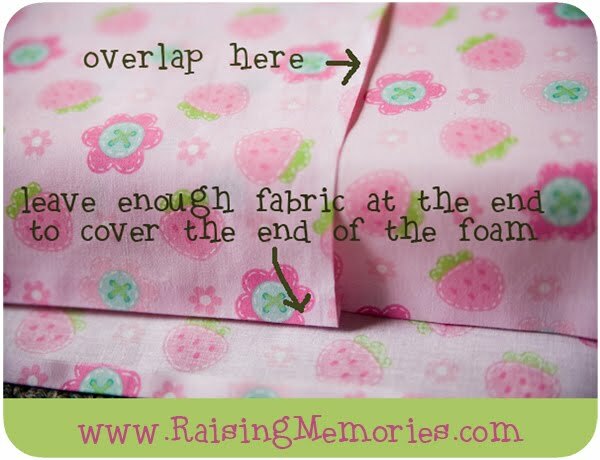 So, no, it doesn't rip any stitches or ruin anything when you remove the foam for washing. :) The only reason you sew it while it's around the cushion is so that you can get it the right size (it's not actually attached to the foam). This is perfect I bought the bench and coat rack from Canadian tire and it hads the same bench pad and I wanted additional colors ! What could you recommend about yourr publish that you simply made a few days in the past? Whats up very nice site!! Guy .. Beautiful ..
A lovely project to customize a little reading nook! Its so pretty. Love the color and elegant design of the fabric. This is such a creative and useful idea! A great space-save to boot!